This book outlines the principles of flight, of birds in particular. It describes a way of simplifying the mechanics of flight into a practical computer program, which will predict in some detail what any bird, real or hypothetical, can and cannot do. The Flight program, presented on the companion website, generates performance curves for flapping and gliding flight, and simulations of long-distance migration and accounts successfully for the consumption of muscles and other tissues during migratory flights. The program is effectively a working model of a flying bird (or bat or pterosaur) and is the skeleton around which the book is built. The book provides a wider background and then explains how Flight works and shows how to set up and test hypotheses generated by the program. The book and the program are based on adapting the conventional (and well-tested) thinking of aeronautical engineers to the biological problems of bird flight. Their primary aim is to convince biologists that this is the appropriate way to handle problems that involve flight, to make the engineering background accessible to biologists, and to provide a tool kit in the shape of the Flight program, which they can use to solve practical problems involving bird flight and migration. In addition, the book will be readily accessible to engineers who want to know how birds work, and should be of interest to the ever-growing community working on flapping "micro air vehicles" (MAVs). The program can be used to predict the flight performance and capabilities of reconstructed fossil birds and pterosaurs, flying in ancient atmospheres that differ from present conditions, and also, of course, to predict and account for the results of experiments and observations on living birds and bats. Examines the biology and biomechanics of bird flight with added reference to the flight of bats and pterosaurs. Uses proven aeronautical principles to help solve biological issues in understanding and predicting the flight capabilities of birds and other vertebrates. Provides insights into the evolution of flight and the likely capabilities of extinct birds and reptiles. 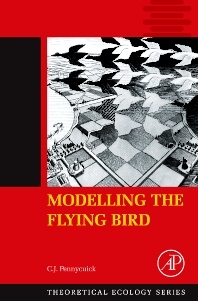 Gives a detailed explanation of the science behind, and use of, the author's predictive bird flight simulation program - Flight - which is available on a companion website. Presents often difficult concepts in easily understood language.